We love our work. Documentary filmmaking is a great excuse to poke our noses into strange new worlds and meet unusual people. Often, we leave awed by the optimism, the remarkable courage and the humility we witness. Boreak’s utter lack of self-pity. Aki Ra’s quest for redemption. Alexio Elu’s desire to tell the truth. Ah Hung’s decision to be a good man. Ordinary people. Flawed and very human. But such extraordinary strength. The ability to joke about his disability is hard-won. Pawan admits that the days following his tragedy were tough. An invitation to a cricket training camp for the blind changed things. Gave new meaning to his life. These days, he’s coach, player and tireless campaigner. 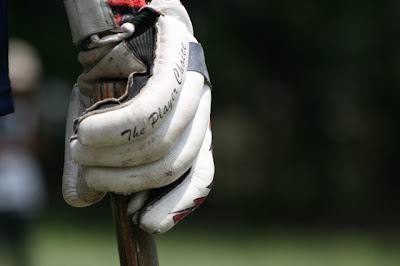 Blind Cricket is more than a passion, it’s an obsession. We had the privilege of witnessing a match this weekend. Playing in the middle of Nepal’s monsoon season can be a pain. The sweltering heat, the constant threat of rain, and a sludgy, muddy, slippery pitch. No one complained though, not even Pawan, whose team lost both of their games. The man’s too busy making bigger plans. 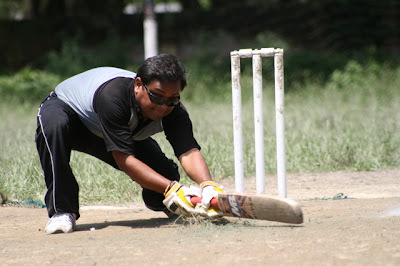 He’s hoping that Nepal will someday get to play in the Blind Cricket World Cup. 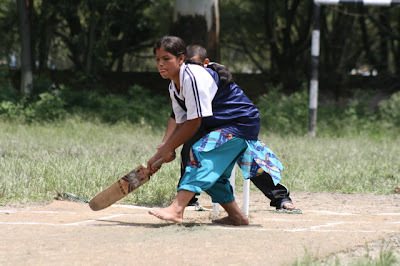 Blind Cricket screens on Al Jazeera International later this year.